I inherited my love for dance from my Mum, who took me to dance lessons from the age of 3, first in Ballet and then Ballroom & Latin, completing all my medals as well as competing all around the country. After a break I returned to assist in teaching both children & adults until I moved to Southampton. My first exposure to Salsa was in 1993, when my aerobics instructor took me to a club in London where Elder Sanchez was teaching. Since that, I have never looked back: setting up Tracie’s Latin Club in Southampton in 1996, as well as guest teaching at international congresses. My Argentine Tango journey began in 1997 and I immediately fell in love with the moment you share with your partner expressing the passionate music, and I have been teaching Tango at TLC since 1999. My personal wish is for children and adults to learn to dance (any style) and to experience the many benefits – as, in my opinion, if everyone danced, the world would be a much better place. I started dancing salsa in 2009 to give me something fun to do after work – mild mannered mathematician by day, dancing fiend by night! What started as one night a week rapidly spread to two, and then a few more…. As well as salsa I also dance ballroom and latin and have a great love of kizomba! So if you fancy a sneaky cha cha cha, samba, kizomba, salsa, rueda…..you get the picture… come and find me! Dancing is great fun, very addictive and good for you. Plus you get the chance to make some really great new friends. So what are you waiting for? Come and give it a whirl! I inherited a love of dance at an early age from my ballet trained father who taught ballroom at Arthur Murray’s in the 1950s. In my own life Argentine Tango has stolen my heart with its focus on connection, passion and elegance. Though by day I am a techie, my evenings at TLC are thoroughly enjoyable as I help others discover the sublime world of this truly beautiful dance form. My love of music and dance started as a baby and as soon as I had my third birthday my dad took me to my first dance lesson and I haven’t looked back. I teach Ballroom, Latin and Argentine Tango. Dance is my passion and there is nothing more rewarding than teaching something I love. I knew nothing about salsa until I attended one of Tracie’s classes in May 2003 and I became addicted from that moment on. I have always loved dancing but until then had only danced to RnB, disco, heavy metal and rock n roll! Salsa has unleashed in me a whole new level of self expression and I love it. I was soon attending 3-4 nights weekly plus weekend events and travelling miles to get my salsa fix and still do. It wasn’t long before I was helping out as an assistant and I told Tracie it was my ambition to become one of the TLC team. In 2005 that ambition was fulfilled. I now teach Argentine Tango on Wednesday nights at TLC and this has added a new dimension! Helping people to develop the Salsa / Tango dancer within them fills me with great joy, and it’s just such great fun. I hope to continue to do so for many years to come. A musician by trade, my first introduction to salsa dancing was going to a salsa club in Mexico City whilst I was on tour there, and getting blown away by a 10 piece band and the amazing energy and vibe of all the dancers. I picked up the basic step and on my return to the UK I went out in London to salsa a few times with friends which was great fun. Living in Maidenhead, I went to some clubs in the area and was soon addicted, going at least 3 times a week. I love the music, the sociability of being able to dance with lots of different partners, and the mixture of learning proper technique and moves whilst having flexibility to be creative. Having met Tracie whilst out social dancing in January 2013, we instantly connected on the dance floor, and I have been regularly teaching salsa at TLC ever since. As well as regular classes, I also teach musicality classes for salsa, as I firmly believe it is the music that drives everything else. At first, it is hard to concentrate on anything other than trying to stay in time with the music. In the end however, learning how to have fun playing with the music, anticipating and interpreting it with your own choice of moves in the moment, and sharing the connection with your partner as they do the same, is what creates a magical experience. I have also performed in salsa shows throughout the UK (including international congresses), both in partnerwork routines and as part of a men’s team, Hombres en Clave, for which I did some of the choreography. I’ve been dancing for nine years – I first saw Argentine tango at Tracie’s ball and just had to do it– the elegance! Passion! Shoes… I was totally hooked from my first lesson. I’ve been teaching tango at Tracie’s lovely studio for several years now and love sharing my passion for this gorgeous dance – tango will change your life for ever! Warning: Salsa is Extremely Addictive, Fun and Fabulous! I was hooked from my very first lesson. Once you start you will wonder how you ever lived without it! Before I joined the TLC team I was unbelievably shy. Salsa has given me the confidence I never thought I would have and has literally changed my life! I absolutely love teaching Salsa and strive to give the dancers the same buzz and passion that I had from the moment I stepped onto the dance floor. 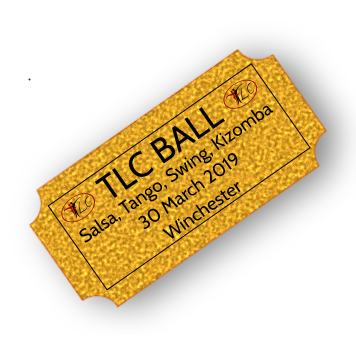 TLC has a fun and friendly atmosphere, there is no better place to start your Salsa journey, so come and join the party – We all look forward to seeing you on the dance floor soon! Joe dances a modern style of Tango, influenced by the many teachers he has studied the dance with, while travelling across Europe. Other influences include his background in the martial art of Jiu Jitsu and experience in the modern dance form of Contact Improvisation. He has been invited to perform tango at many events, including special event performances at the Wellcome Collection in London, the opening night of the Deal Festival, Platform 33 in London, and the 2012 Olympic Tango event at the Embassy of the Bolivarian Republic of Venezuela. In his second tango related film role he starred in the short film ‘Novela’ by Hour Glass productions. Having never really danced previously, I started tango at TLC and haven’t looked back! I love this tango journey, particularly the golden age of tango music and I’m totally hooked on the connection that close embrace gives. It’s been great to join the gorgeous TLC team and brilliant fun to enable our beginners to catch ‘the bug’ and get hooked like the rest of us! I have been dancing Salsa since 1996 and was one of Tracie’s first pupils. I think Tracie has created a wonderful Salsa atmosphere in Southampton, (fun friendly and welcoming). I’m proud to be one of the team. If I had to give a Salsa tip I would say have fun, laugh at your mistakes and be patient, the basic steps and the timing are the hardest things to learn. Don’t rush to learn 101 moves (slight exaggeration!) before mastering the basic rhythm. I love teaching Salsa and Rueda, and enjoy seeing people I’ve taught having fun on the dance floor, especially those who once were shy and doubted their abilities. It is my pleasure to make learning Salsa and Rueda a fun experience. Tracie has been my dance influence and mentor since I started at the youthful age of about 14. Together, we shared the enthusiasm for all dance types long before TLC was born. Her hard work to realise her dream to bring people together and enjoy the magic of dance has made TLC what it is today – in my mind, the ‘Salsa family of the South Coast’. Salsa certainly has that special something; it’s upbeat, happy and a great way to keep fit and socialise. Salsa (& Tango) with TLC has enhanced my life and thanks to Tracie and the TLC team, it can enhance yours too. Once you’ve got the bug, there’s no going back. You’ll see me on the dance floor ! I’ve been dancing since 1996 when salsa really got going in Southampton. I was pretty useless in my first lesson, but really enjoyed myself: I loved the rhythm and energy of the music, the fact that I had actually asked someone who I didn’t know to dance and I had a good laugh with my friends. Much later on I discovered I had hips and an upper-body that could move, so if you’re a slow starter then don’t worry! Come along, don’t take things too seriously, and love the music! See my website for more info on Salsa rhythms.